This volume provides a unique open inter-disciplinary dialogue across the Humanities and Social Sciences to further our understanding of the phenomenon of regions and regionalism in a globalized world both at the theoretical and empirical levels. What comprises a region? What are the different regional dynamic processes that take place? What is the relationship between the regional and the global? What role does identity building play? Bringing together scholars from various disciplines within and across the Social Sciences and the Humanities to reflect on these questions, the book explores how regions are imagined, constructed, understood, and explained in different academic disciplines. Each chapter addresses these common questions and uses its own disciplinary lenses to answer them. 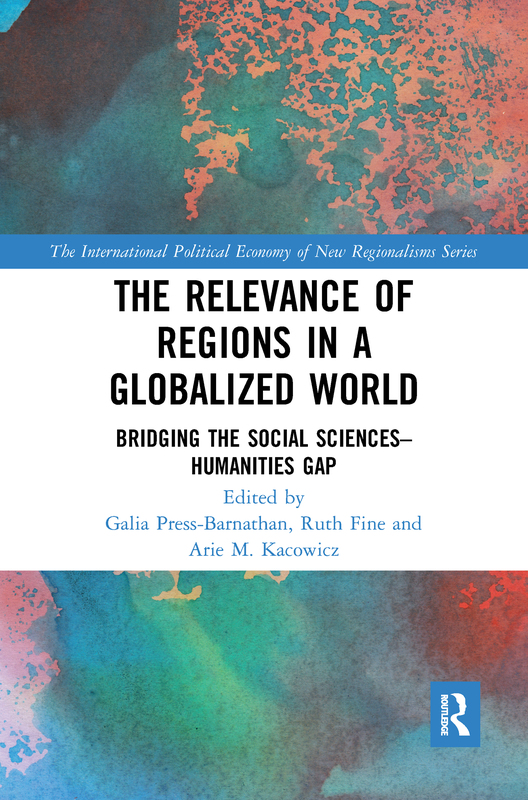 In addition, the volume offers interesting reflections on the academic borders constructed in the study of regions, thus demonstrating the importance of obtaining insights from both social scientists and humanities scholars in order to better understand the relevance of regions in a complex and globalized world. An important work for scholars and postgraduate students in many fields, including political science, international relations, sociology, economics, geography, history and literature, as well as for those interested in regionalism and area studies.